Orig3n is a successful startup company founded in 2014 in Boston, Massachusetts. It specializes in biotechnology, specifically in developing cutting-edge treatments for rare genetic conditions targeting liver, heart, and neurodegenerative indications. Its work may usher an era without trial and error in disease treatment. Ideally, this will enable us to lead healthier and longer lives. 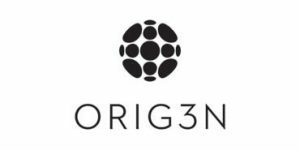 Orig3n’s pioneering breakthroughs in regenerative medicine aim at creating an induced pluripotent stem cell technology, which will be able to “shapeshift” into any type of cell in our bodies. Several A-series investors have realized the importance of its scientific work and backed it with more than 15 million dollars in donations. Our Orig3n review will inspect its complete offer in detail and relay the most important information to you in a succinct and comprehensive fashion. Placing an online order – You can simply pick the DNA test that caught your interest and order it through the Orig3n website. Sample collection – The test uses buccal cells for your DNA analysis, so you’ll be required to perform a cheek swab. It’s a completely painless procedure that only takes up several minutes of your time. Mailing the specimen back – Once your cheek swabs are ready, you can mail the kit back to Orig3n for processing, using the pre-paid mailer. Downloading the app – LifeProfile app is required for viewing your results. Through this app, you’ll also be able to stay up-to-date with the newest products Orig3n has to offer. Alternatively, you can also attend one of the many events organized by Orig3n, so you can provide your DNA sample there, without ordering the testing kit. A widely spread saying states that Orig3n is today what the Internet was in 1993. It offers so much more than simple DNA testing and enumerating reasons for looking its way could take quite a while. Orig3n currently offers 20 DNA tests, each providing a crucial insight into your personal fitness potential, response to nutrients, overall wellness, and genetic predispositions. Individuals under 18 years of age must provide parental/guardian consent in order to participate. There’s no upper age limit, as long as there are no limitations or restrictions preventing you from providing a viable sample. Particular genes selected for testing are recommended by leading research and peer-reviewed scientific publications. The average turnaround across the tests is around 4 weeks after the receipt of your DNA sample. Orig3n strongly encourages involving your family members in DNA testing, so it offers family discounts on all tests. This test assesses and decodes information stored in your DNA signature, providing a full insight into your fitness potential. Power performance – Testing genetic variants associated with cardiovascular fitness and the makeup of skeletal muscles located in fast-twitch muscle fibers. Exercise recovery – Determining the time frame needed for you to recover from a high-intensity exercise. Metabolism – Identifying fat mass and genetic level of fat sensitivity, alongside cholesterol regulation degree, insulin sensitivity, and lipid metabolism. Muscle strength – Establishing the true potential of your muscle power based on genes in charge of bone density, immune function, and muscle mass. Endurance – Providing information on the overall effectiveness of your body’s ability to process oxygen. Genes tested are responsible for red blood cell production, inflammation management, muscle efficiency, and tissue oxygenation. Joints – Analyzing genetic variations in the makeup of your ligaments, tendons, and cartilage. These differences affect how sore you will get after working out. Beauty is a skin assessment test providing unprecedented information about your largest organ. Orig3n tests 8 separate genes and their related single nucleotide polymorphisms. Skin hydration capacity – Understanding your skin’s genetic hydration qualities can help you tailor your water consumption and skin care accordingly. Aging – Genetic capacity for skin aging varies among people, so being familiar with yours is essential for proper skin care. If the test determines that you have genetic predispositions for faster-than-normal aging, you’ll be able to take extra steps in advance to better preserve and protect your skin. Elasticity – Elasticity is one of the most important features to maintain if you want your skin to age well. A proper understanding of your genetic markers can basically provide a roadmap, outlining the best ways of doing so. UV sensitivity – This portion of the test will inform you whether your sensitivity to the sun is higher-than-normal, so you can protect your skin adequately. This test identifies your body’s natural response to nutrition. The results can help you customize your diet plan the way you were genetically predisposed to do. Food sensitivity – Indicating food limitations you should introduce to your daily diet, the most prominent factors including milk, caffeine, and alcohol. Food breakdown – Teaching you about your body’s ability to metabolize good and bad fats present in your diet. This section focuses on lipid levels, HDL/LDL cholesterol, fatty acid response, and monounsaturated fat. Hunger and weight – Focusing on your genetic predispositions concerning appetite, metabolic rate, key determinants of weight loss/gain, and sugar cravings. Vitamins – Genetics can make the production of certain vitamins harder for your body, so you’ll learn about your potential vitamin deficiencies and needed supplements. Strength – If you belong to the 10% of people with an inherent genetic strength attribute, you’ll possess the highest muscle strength, thus the lowest risk percentage for muscle injury. Intelligence – Determines your genetic ability to digest information quickly, presenting DNA predisposition for higher academic achievements. Speed – Explores your DNA for a particular muscle protein, enabling your skeletal muscles to generate force at high momentum. The test should uncover the secrets of your brain, as stated by Orig3n, providing a complete picture of your personal behaviorism. Addiction – Determining your genetic predispositions for handling the effects of cannabis, alcohol, and other opiates. Feelings – Teaching you about your genetic mold for euphoria, empathy, and stimulation. Behavior – Establishing how your DNA affects your motor skills and impulsive behavior. Tolerance – Examining your tolerance levels for pain and stress. You can share the results with your doctor, providing him/her with an unprecedented insight into your genetic makeup. This test decodes your child’s DNA, providing information on unique genetic traits and properties. Enlightenment – This segment tests genes related to cognitive abilities, memory recall, and mathematical skills. Fitness – The genes inspected affect sports performance in terms of endurance, muscle force, strength, and other capabilities. Health – Explores the role of your child’s DNA regarding overall health, from sleep issues to potential tooth decay. Nutrition – Helps you build a customized diet plan to fit your child’s genetic needs. You can also share the findings with your pediatrician in order to provide him/her with information about your child’s unique genetic composition. This is a gene profiling test that measures your raw potential for football. Performance – Checking your genes related to athletic performance. Toughness – Examining your genetic capacity for musculoskeletal strength. Resilience – Determining your genetic capacity to “bounce back” after taking a hit. Spirit – Exploring your ability to stay positive and connected with your team. This test will detect your body’s ability to break down acetaldehyde (a byproduct of alcohol), which is also found in tea, coffee, and air pollution. Orig3n runs the largest crowdsourced biorepository of induced pluripotent stem cells in the world, simply named the LifeCapsule. The collection of donated blood samples enables scientists to create iPS cells and perform numerous tests in order to better understand cryptic and rare diseases. Orig3n also offers C3LL Cardiomyocytes derived from human-induced pluripotent cells. They display the typical morphology with Troponin T expression and synchronous beating as markers for differentiated cardiomyocytes. Orig3n takes your privacy seriously, so you can rest assured that it will never share your contact/payment information or test results with any third parties. Only you have access to your results through the designated app and only you know who the DNA sample belongs to. Orig3n doesn’t mention anything about shipping options, so we presume it uses regular postal service, which enables you to choose between regular and express shipping. It also doesn’t state its region coverage, so we don’t actually know whether it ships its DNA testing kits worldwide or just within the US. Our Orig3n review painted a picture of a revolutionary company pushing the boundaries in the field of regenerative medicine. Apart from providing a variety of high-quality DNA tests, it works on equipping doctors with new tools for handling rare genetic diseases. Orig3n also enables its customers to participate in its research and immortalize their blood sample in the form of iPS cells. It is the only company of this kind on the market and its business model and dedication have already attracted numerous high-rolling investors and thousands upon thousands of customers. Our ratings are the result of an objective and independent evaluation of Orig3n, generating the final rating that reflects the overall quality of the company. Ratings may change as the service changes. Orig3n user rating based on 12 user reviews. I ordered the Noom Weight loss DNA test on November 7, 2018. It arrived quickly. I sent my swab in the mail two weeks later. They never received it at the lab, so when I sent an email to inquire about it they simply sent me a new one. I did the new swab and sent it within the week that time. I got an email January 4 that they received it, and then another on the 7 that they started processing it. So at this point I had already spent two months just trying to get them the sample... They say it takes them 4-6 weeks to process, so at 5 1/2 weeks I wrote asking where my sample was at in the process. I got the same email described below by a few fellow reviewers from Phyllis Francis on Feb 15. It seems like a blanket response they send to everyone. Regardless, I still have not heard back from the “lab” what the holdup is. I wrote again today because it has been more than 6 weeks since they received the sample and I have not gotten an update. Will report back as this continues to develop. But overall customer service is terrible. I purchased two tests in late November and sent them to Orig3ns on November 30. The following week I received confirmations that they had received both tests and I would have my reports in about 4 weeks.After 5 weeks I followed up by email and was told by Phyllis Francis:"Thank you for reaching out. We wanted to let you know that we appreciate your patience. Our lab team has generated a partial report and are still working on the last few genes. I do apologize you have not yet received your results. We do our best to deliver results in 4 to 6 weeks but sometimes experience delays due to the number of swabs we're processing and the quality of the sample we receive. I have noted both your swabs for the lab to determine the cause for delay.Each individual is unique and some DNA is also harder to extract than others but we always make multiple attempts and may need to mail you a new swab free of charge. If this is the case we will follow-up to confirm your mailing address. "Two weeks later no results so I followed up again. Phyllis' response: "I do apologize, I am still waiting to hear back from the lab. Additionally, I refunded your order due to the delay"I asked if I should still expect my results and she said yes.Two weeks later, still no results. It has now been 8 weeks since they were received and 4 weeks since I was told they were almost done. I followed up with an inquiry and Phyllis response was:"The lab is a bit backed up but still running your samples. I do not have an ETA. "So if you are truly interested in receiving results, don't waste your money on this company. I am now suspicious about what they are really doing with my DNA. Have you gotten your results yet? I’ve had a similar experience but have not been offered a refund yet. For the price, I felt I got a boiler plate test that tells me nothing what I was led to believe I would receive. One of the worst companies I have done business with in a long time. They sell product that they don’t have licenses to sell, but expect the customer to wait (as they hold your money) while they try to get the license. I had to ask 3 times for a refund. The told me that they refunded my money, but it hasn’t hit my bank account. If they are this bad at running their business, I have serious doubt about the results of their tests. I was really excited about the Fuel test to help be understand my nutrition needs from a DNA perspective. Unfortunately I did not learn anything from this that I did not learn from the food pyramid in elementary school. All advice was common sense and very generic. I had expected to gain more insight on things I should and should not be eating. I did not receive any insight as to how I should be handling my nutrition needs. My head started spinning just from reading everything these guys do. I ordered the fitness test, and it was surprisingly informative and useful. I got the nutrition test, and it really helped me put some things into perspective. I radicaly changed my diet and already I'm seeing the results. Awesome test, just a bit too pricey for comfort. We found 0 verified Orig3n discounts for April, 2019. There are no Orig3n coupons or discounts right now.